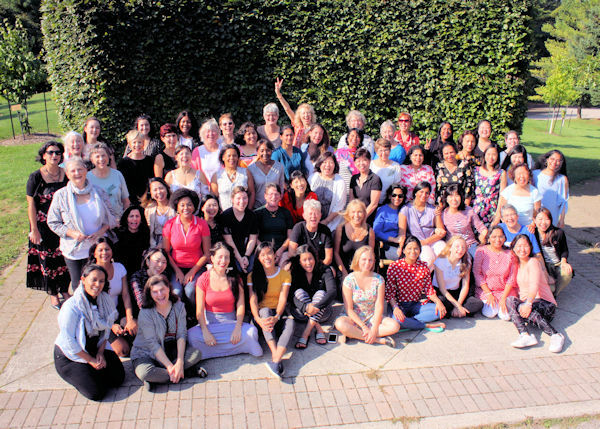 On September 20-23, the Young Women’s and Women’s group conference was held at the Caledon Centre for Culture and Education. Practitioners and guests gathered from across Canada, some of whom had been practising for decades while others attended for the first time and were new to the practice. As one first-timer put it, “It was a pleasure to be with all of the SGI members for the first time. I have had a great experience at Caledon and it has given me a lot of memories that I will treasure. This is a fresh start of discovering this new practice." Dubbed the "Buds and Blossoms" conference as summer officially turned to autumn, all attendees vibrantly blossomed through powerful chanting surrounded by the stunning natural beauty of Caledon. This was a significant time as it was the last year for all Caledon conferences. It was bittersweet, yet our hearts were filled with gratitude and awareness that we are embarking on a new chapter for SGI Canada. There were ceremonial offerings to acknowledge the land, the memories and people who had had the good fortune to experience Caledon in the past. Through deep appreciation, we determined to carry on the legacy of Caledon’s spirit and President Ikeda’s vision for peace in Canada and the world. 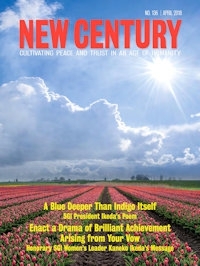 One memorable encouragement from their message to the conference from SGI President Ikeda and Kaneko Ikeda was that if you decide in your heart, "This is how I will live" and "This is how I will challenge myself" you will definitely change exactly as you decided, and it is faith that enables you to do so. They also said that you will be able to exert yourselves joyfully and energetically for world peace and there is absolutely no more noble, fulfilling, or purposeful life than this. 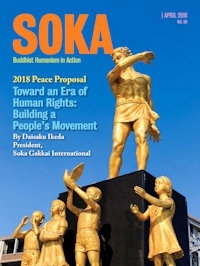 Among these sessions, experiences were shared and as "Soka Sisters" many reconnected and new friendships were forged. Powerful accounts of victory, courage, and of living with and overcoming grief inspired bonds of compassion and support. As we move into the next phase of our growth, a shared determination was expressed to dedicate ourselves to the advancement of creating world peace through individual dialogue, caring for the person right in front of us which allows us to change our karma through inner transformation.